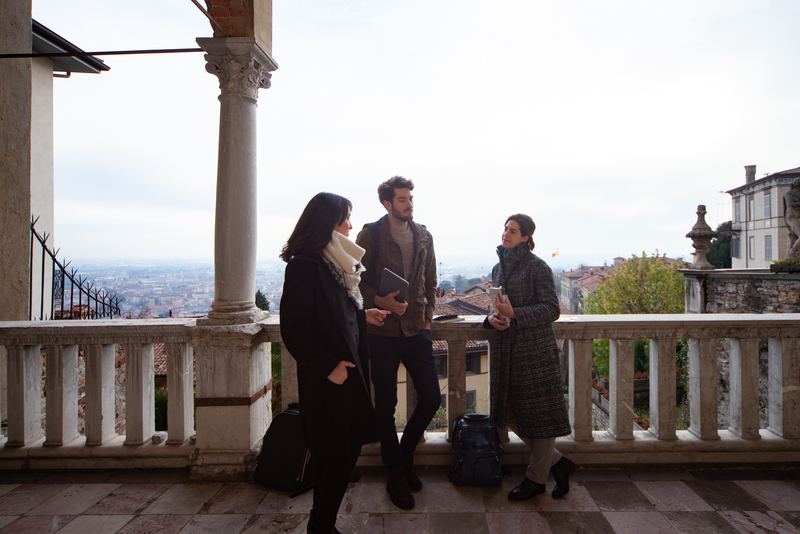 The Department of Foreign Languages, Literatures and Cultures is in Piazza Rosate. 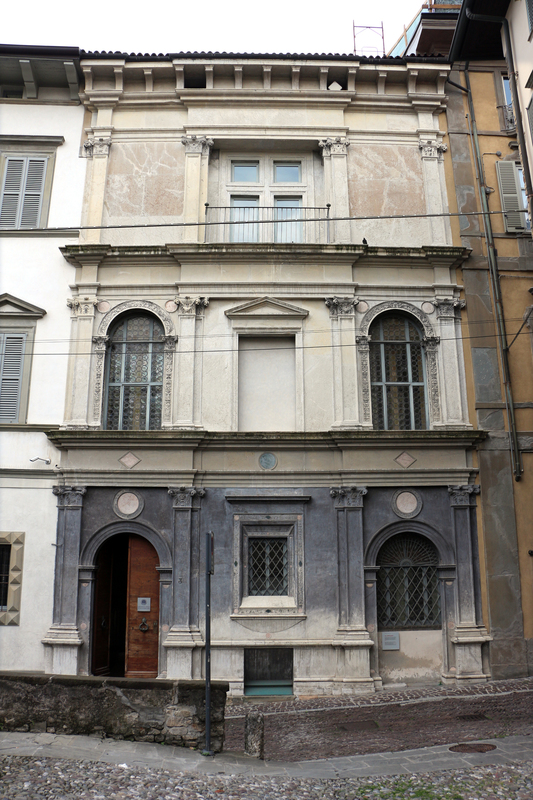 In Via Donizetti 3, there is "Casa dell'Arciprete", home to professors and PhD student offices. 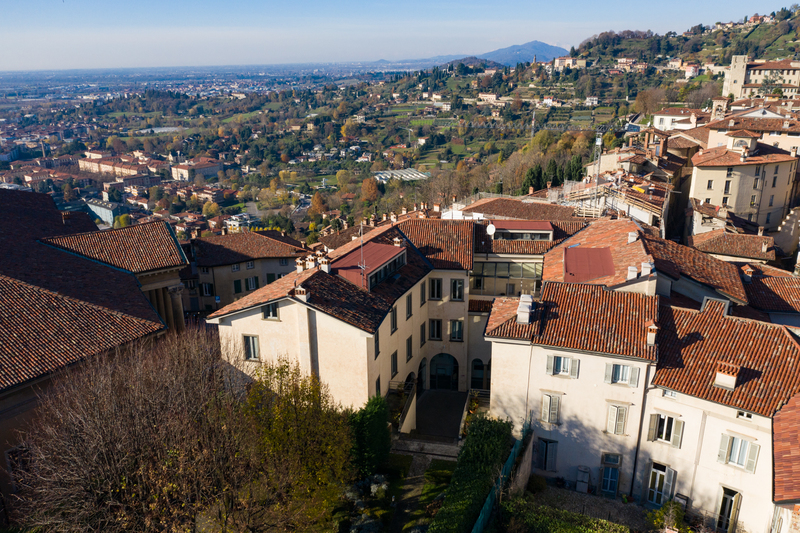 The building is named after one of the seven hills of Bergamo, Colle Rosate: Rome is not the only italian city built on seven hills! 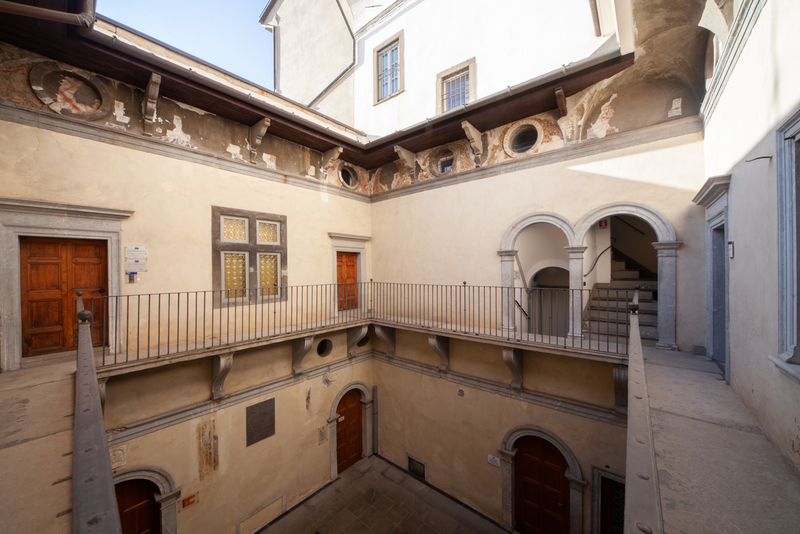 The Rosate office is in the very center of the upper town, it is therefore a perfect reference point to reach all the main historic sites, starting with the Basilica of Santa Maria Maggiore, which dominates the Rosate Square. 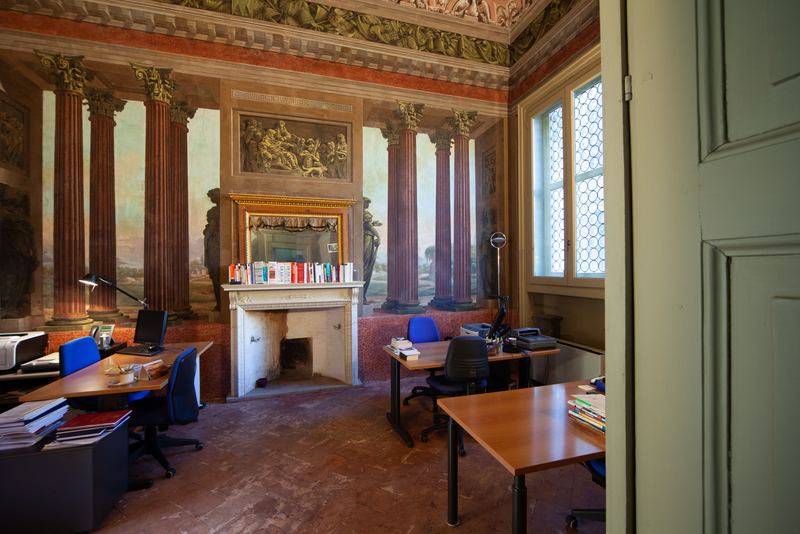 From Rosate it is also possible to reach the canteen in via San Lorenzo, many bars and restaurants in the Center along via Colleoni (the "Corsarola") and the historical Angelo Maj Library. The boundary walls battlements are very close and, expecially in the summer, you can enjoy the astonighing view of Lower Town and valleys from there. Take BUS Line 1 / airport to Colle Aperto. BUS Line 1 - From the train station to Città Alta (Colle Aperto) the bus has a frequency of 15'. Located on the corner between the alley and the square, was the house of a noble family. In the nineteenth century, because of a urban development project, the family lost the possibility to use the pedestrian access: the main entrance nowadays is from the 1800, while the original one was on the first floor level, in line with the portal. 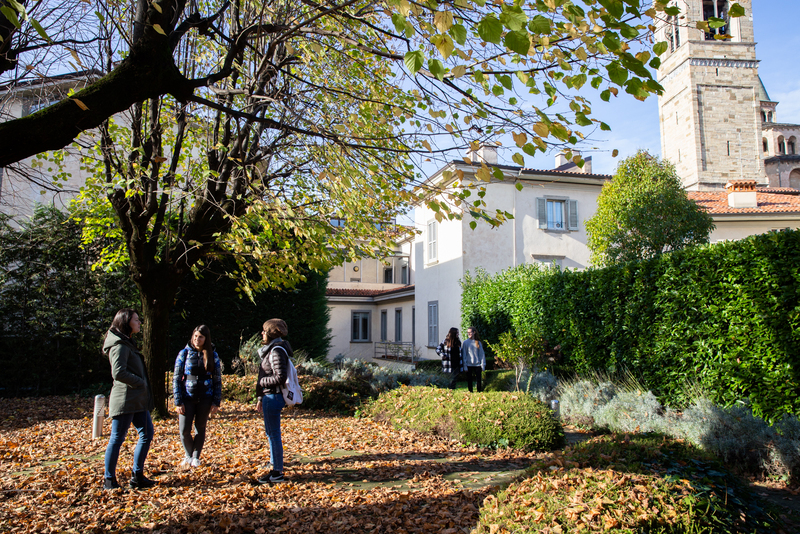 The courtyard, the porch and some finely decorated rooms are a reminder of the intended use at the time: a private residence (until 1918 and, later, from 1933 to 1971), a hostel managed by the Congregazione delle Suore della Carità, who hosted students of elementary schools, high school and master classes. When the boarding school had to close down due to a lack of applicants, it became a retiree for university students. 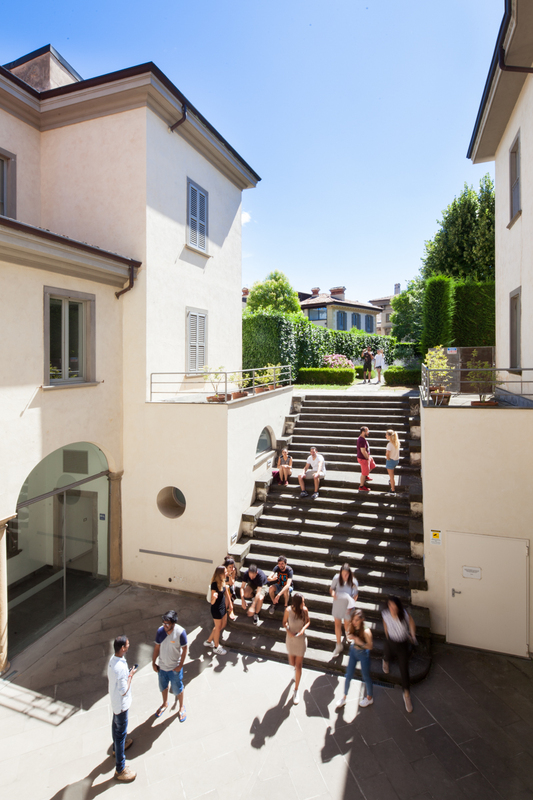 Purchased in 1973 by the Institute to accommodate classrooms and departments of the Faculty of Economics and Commerce, it has glazed arcaded courtyards, loggias and stairs leading to the beautiful hanging garden, overlooking Piazzetta Terzi.